The historic town of Grand-Bassam was a colonial town and seaport. 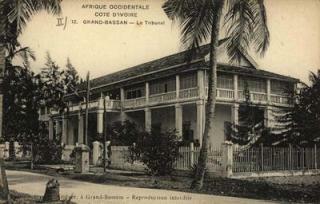 Built in the 19th century, it was the French colonial capital of Cote d'Ivoire. Europeans and Africans lived here together, divided into separate quarters. It also had important commercial and administrative zones, in which historic buildings in a sober and functional colonial style have been preserved.